Defenders of Truth, Sovereignty and Liberation. Guardian Families, serving the One. From across all the Multiverses I call upon my Guardian families to join me now. My unification is demonstrated in the waves of Omni Love - I sound my heart tone to you now. My energy template updated, renewed and forever perpetuated in the Eternally Sustained Light. My Alchemical Container is consecrated and dedicated to the Purposes of One, and I endeavor to be the Knower of God to then be the Way Shower of God. Please sustain me in the Eternal Power of my Consecration. I have asked for your Gatekeeping in order to hold my mission, my highest purpose in Service to the One Light, my Source, the Living Light Code. My Intention is Unification - the Cosmic Christ Principle - as an Energetic Reality, here and now. I request the handshake to fortify my spiritual links through the Universal Cosmic Trinity, and into the Core of One, the Zero Point God Matrix, that which is the source of my Genesis. With deep reverence for all of Life, Dear God, Breathe your living life codes into my created form. 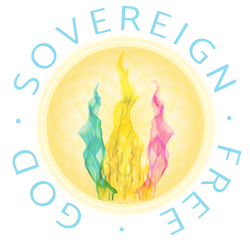 I set my intention now to be remembered to that which I AM, fully, completely and totally, God Sovereign Free!. I state my mutual purpose as One, please resurrect all inorganic and artificial patterns to the Organic Living Light now. And to that I say, Thank God I AM the Living Eternal Light. And so it is lovingly decreed. For those new to the 12D Shield and the "Unity Vow", repeat this command with every prayer session to entrain your field and create the Hub Handshake hub of direct communication with the Unity Field intelligence of the Krystal Star. When feeling the need to strengthen or amplify prayer session communication links, repeat this Unity Vow. When proficient with regular prayer and energy session work, and by holding down the containment field, the Unity Vow becomes entrained with your nervous system, brain and blood, by simply saying "Unity". This statement of intention will sufficiently activate the Hub Handshake to Krystal Star.